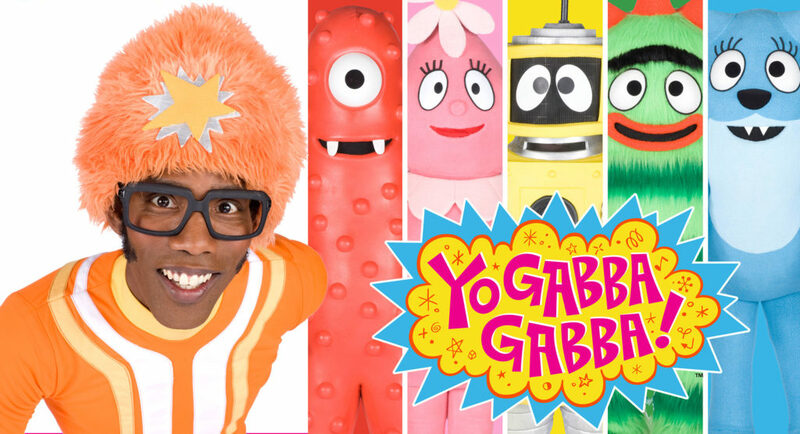 If your kids are big fans of the hit kids TV show Yo Gabba Gabba, which has already taken the world by storm, simply continue reading to discover a list of the most popular Yo Gabba Gabba episodes to watch together. In Yo Gabba Gabba Games, the Gabba gang decide to play a variety of fun animated games together. Examples of which include a race and tug of war. If your kids are gamers themselves, they’ll love this unique episode. In the episode New Friends, a new celebrity friend turns up in Gabbaland on a dirt bike. Who is the celebrity guest who appears in New Friends, you might ask. The answer is Jack Black, who is famous for appearing in a variety of A list movies such as Kung Fu Panda, School of Rock, Jumanji, Guillver’s Travels and Goosebumps. All of which are family movies, so don’t be surprised if your kids recognize Jack Black. In Big, Brobee who is the smallest member of the Gabba gang gets frustrated about his size but soon learns that there is nothing wrong with being the smallest or the largest member of the Gabba gang. In the Yo Gabba Gabba episode Art, there is a special guest appearance from the popular band MGMT and the Gabba gang get to work creating new paints and paintings for an upcoming art show. This is a particularly great episode to watch with your kids before encouraging your kids to paint their very own paintings. As they’ll want to create paintings for their own art show just like the Gabba gang. Baby is a unique episode as DJ Lance Rock shares a very special surprise with the Gabba gang. Videos of all of the Gabba gang as babies. Baby also features a celebrity performance from Solange Knowles an award-winning artist in her own right, who also happens to be the little sister of Beyonce Knowles. One of the most famous singers alive. Talent offers a positive message and teaches kids that everyone has different talents. Talents also features a celebrity star, professional basketball player Amar’e Stoudemire. Who showcases his basketball dribbling skills on the episode. Talent also features a musical performance from Hot Heat. If your kids have been begging you for a pet, it’s well worth sitting down together to watch the episode Pets. In Pets, Foofa adopts a pet but is surprised at how much work is involved in taking care of a pet. Thankfully, however, Plex is on hand to explain the ins and outs of pet ownership with Foofa, who soon gets the hang of taking care of his new pet. If you want to show your kids how much work and responsibility is involved in pet ownership, it’s definitely worth watching Pets together. So what you waiting for why not choose an episode above, such as Yo Gabba Gabba Games, to watch with your little ones?